Charleston, WV - The Democratic women serving in the West Virginia House of Delegates have united to prioritize issues that face West Virginia’s women and families and formed the first West Virginia House Democratic Women’s Caucus. 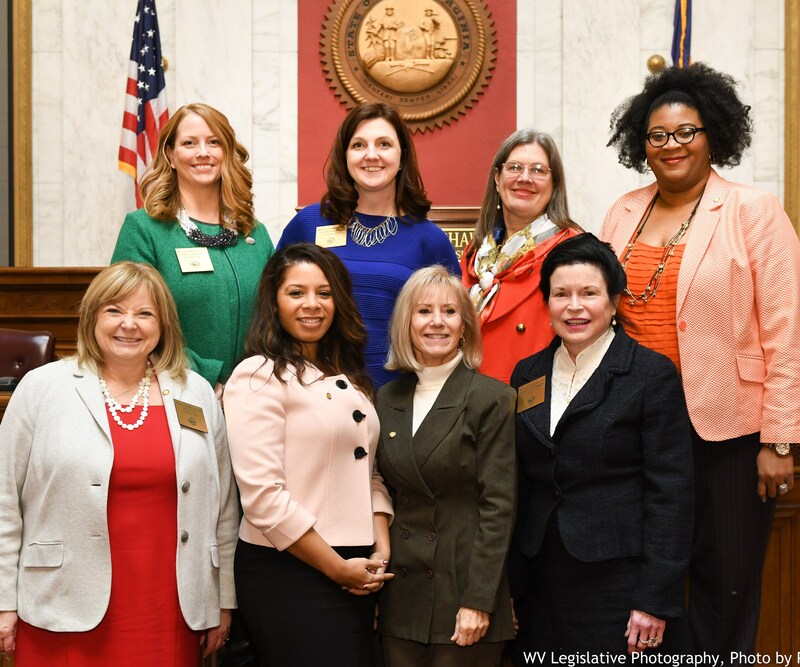 “We are working together towards a common goal – to improve the lives of West Virginia’s women & families,” said Delegate Cindy Lavender-Bowe (D-Greenbrier), Chair of the Caucus. “Having seen our numbers quadruple in the House this year, we feel we can effectively unite to shine a light on the issues facing these vulnerable populations. The West Virginia House Democratic Women’s Committee will focus on legislation that supports women’s economic security, protects women’s health, prevents sexual assault and domestic violence, and supports women in government,” Delegate Lavender-Bowe added. Delegate Barbara Fleischauer (D-Monongalia), who is the longest serving woman currently in the House, says the new crop of Democratic women delegates was much needed. "I feel like the reinforcements have arrived,” she said. “I am excited to think that we can, together, make more progress on women's rights and protecting children and families. It will be easier to be an advocate for legislation that helps women knowing that there are more voices in the chorus." A lot of attention has been given to House Bill 2500, supported by the caucus, that would exempt certain hygiene products from sales tax, effectively removing the so-called “Pink Tax” for West Virginia’s women. Also a priority for the democratic women is the Katherine Johnson Fair Pay Act, HB 2308, which would prohibit employer policies that do not allow discussion of wages. “When employees are forbidden from discussing their wages, it can take years for them to realize they are underpaid,” said Danielle Walker, one of the sponsors of HB 2308. Katherine Johnson, the mathematician memorialized in “Hidden Figures” was discriminated against both because of her race and her gender. The family of the nearly 100 year old born in West Virginia has given their permission for the bill to be named after her.